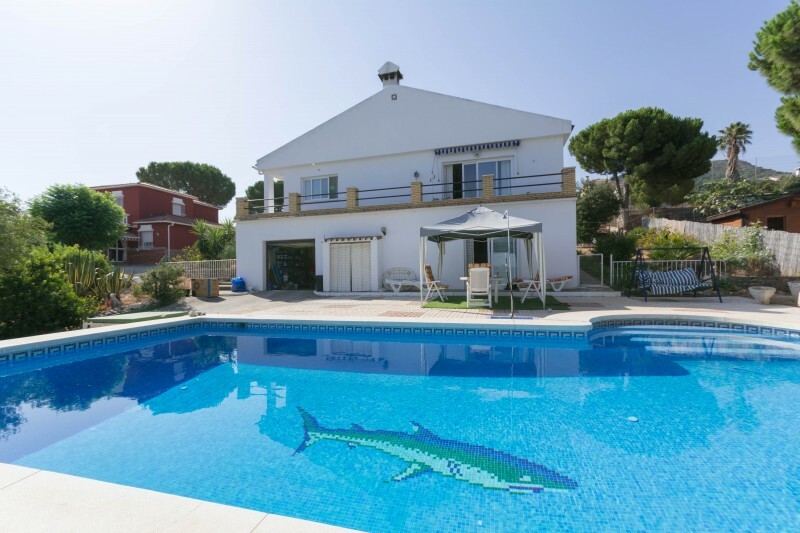 A 3 / 4 bedroom detached villa located in the low density urbanisation of Los Pinos on the outskirts of Alhaurin de La Torre. Here you have the feeling of living in the country with large plots and open views but have the benefit of having neighbours and easy access on tarmac roads. The centre of town together with supermarkets and restaurants are close at hand. Additionally if you want the beach it is an easy ride down to Torremolinos or for more cosmopolitan facilities the Centre of Malaga City is only about 20 minutes away. This is a traditional villa with the main accommodation arranged on one floor. 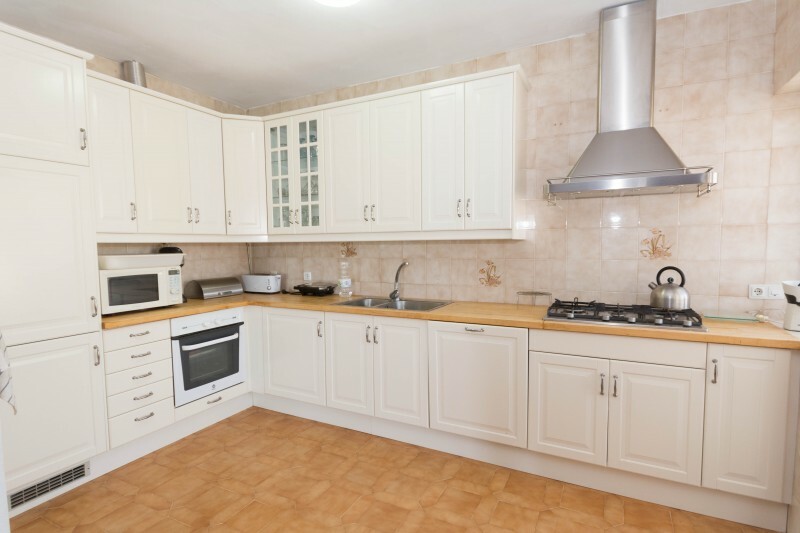 It has been modernised with the installation of central heating, air conditioning and new windows with blinds. The living room has an open fireplace and there is also a dining room and a recently refitted kitchen with built-in appliances. The master bedroom has a bathroom en suite and the two family bedrooms share a bathroom. On the lower floor there is a garage and a further room which can be used as an office, pool room or bed room plus a further bathroom. The gardens include plenty of terraced areas for enjoying the sun and shade. There is an ornamental and plus, of course, a swimming pool. This is a great home for holidays or fulltime living and we recommend that you make an appointment to come along and see for yourself. At a reduced price of 369,950 it offers great value for money. If you would like more details or an appointment to view this apartment please call us on (0034) 952 90 52 00 or click on the Request Information link below and we will get back to you as soon as possible. Please note that leaving a comment is not the assured way of getting a message to us.